Its a quixotic demand we make of our smartphones - we want the power of a super computer with the battery life of a Amazon Kindle in our pockets. Nothing promotes more debate and fills our comments section faster than the subject of battery life. No matter how much we wax lyrical about the latest hardware included in our devices the battery technology has hardly changed. 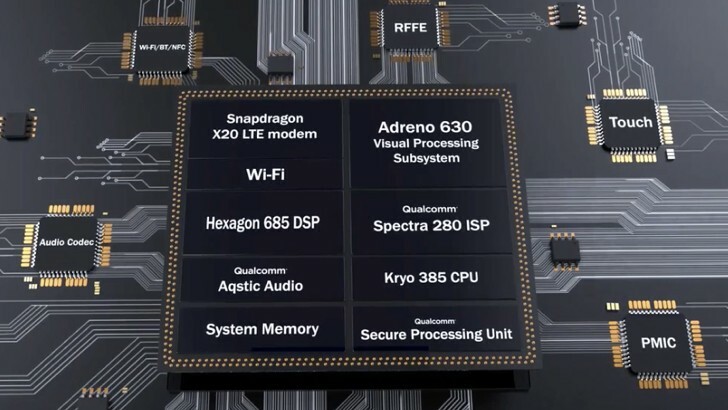 In no particular order of priority, the notable battery hogs, outside of rogue apps, are the display, the radios and the chipset, so we'll address those in order. To illustrate this, let’s take the iPhone X and iPhone 8 Plus. Excluding the screen, these two have identical innards. Even the batteries are have a difference of a mere 25 mAh in favor of the iPhone X. 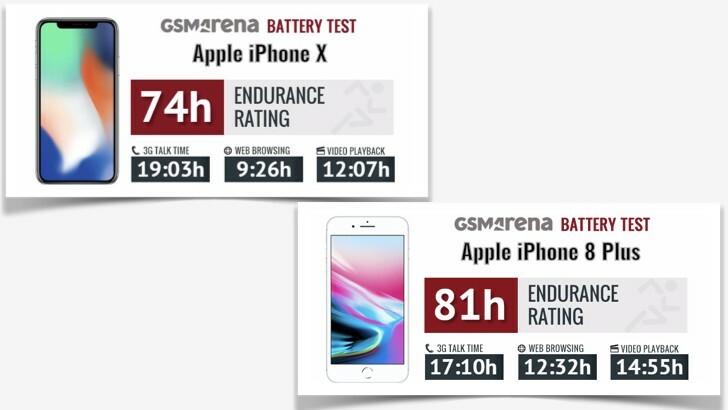 However, in our battery tests for Web browsing and Video playback the iPhone 8 Plus bests the iPhone X by just over 3hrs and just under 3hrs respectively. That could be because the iPhone X has more pixels have to push or there might be some inefficiencies due to the layered battery introduced in the iPhone X. Or is it Face ID that's a battery hog? We feel we could go on but the point is clear. Micro Led or mLED was invented in 2000 and is perhaps one of the closest to trial production and commercialization. Micro LED is a display technology that is based on tiny micro LED devices utilized to form the color pixels. Sharing many traits with OLED they eliminate the need for back lighting and due to their smaller size allow for even higher resolutions that are also flexible in nature. What we're interested in though is power consumption and it’s been stated that a mLED display provides 2-3 times the brightness of an OLED display whilst consuming the same power. 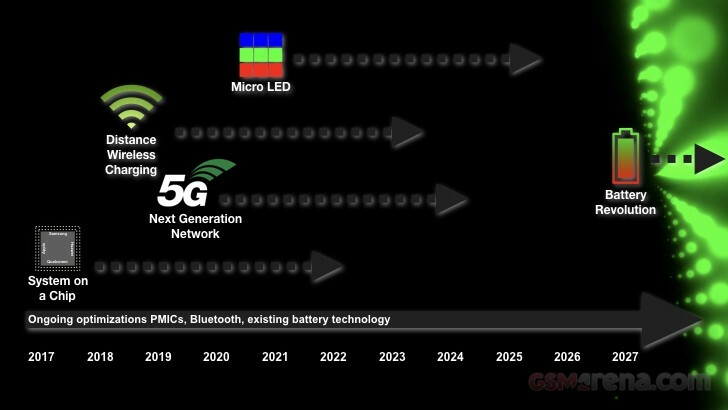 If these figures bear true in the real world then Micro LEDs could improve battery life twice! Now this is more like it. 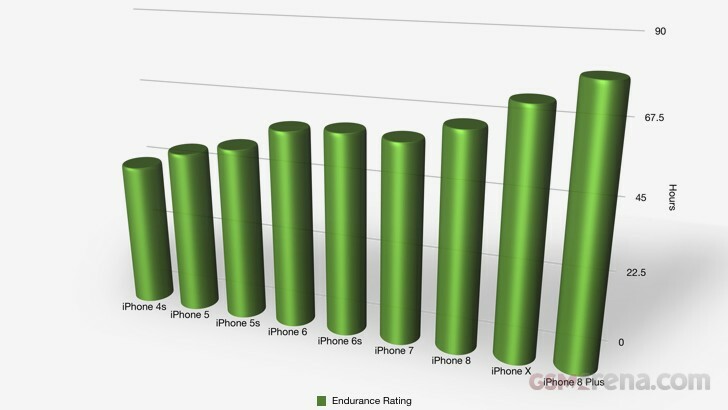 Over a relatively short period of time Apple has developed more of its silicone in house. Most recently the iPhone 8,8 Plus and X utilize an Apple design GPU and prior to that the W1 chip improved not only ease of use but battery life when using Bluetooth headphones. If recent rumors are to be believed Apple is well underway in designing it’s own Power Management Integrated Circuit (PMIC) for inclusion in future iPhones to extend battery life by several hours. Could this help them manage the dual layered battery better in the iPhone X and was this why our battery tests results were unexpected? 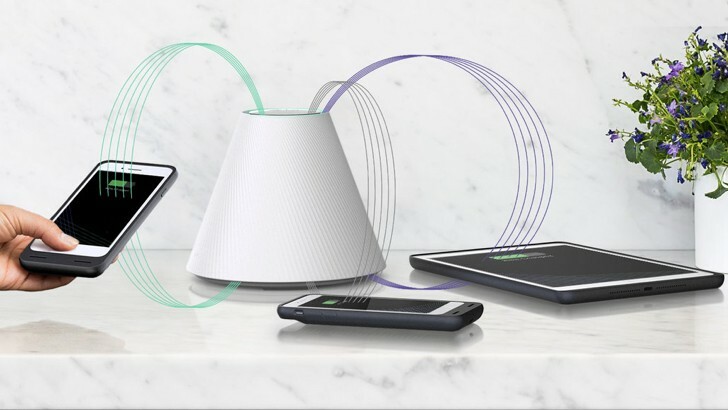 While not exhaustive, this is a flavor of a number of the emerging technologies that are coming downstream to take away our battery blues while we wait for a revolution in battery technology. We started this feature with a battery chart from the last 6 years. If all the above comes to fruition, within the next 6 years we should see our smart phones have a 3-4 day battery life as standard, all whilst being charged as we go about our daily lives. 10 years out, with a revolution in battery technology we could well get the same endurance as we did with featurephones. We'd like to end with a plea to manufacturers. Please don’t use all these battery efficiencies to reduce the size of the battery in our phones even further so you can give us a 3mm thick smart phones!